How Well Can a Human Mimic the Sound of a Trumpet? Man-made musical instruments are sometimes designed or played to mimic the human voice, and likewise vocalists try to mimic the sounds of man-made instruments. If flutes and strings accompany a singer, a “brassy” voice is likely to produce mismatches in timbre (tone color or sound quality). Likewise, a “fluty” voice may not be ideal for a brass accompaniment. Thus, singers are looking for ways to color their voice with variable timbre. Acoustically, brass instruments are close cousins of the human voice. It was discovered prehistorically that sending sound over long distances (to locate, be located, or warn of danger) is made easier when a vibrating sound source is connected to a horn. It is not known which came first – blowing hollow animal horns or sea shells with pursed and vibrating lips, or cupping the hands to extend the airway for vocalization. In both cases, however, airflow-induced vibration of soft tissue (vocal folds or lips) is enhanced by a tube that resonates the frequencies and radiates them (sends them out) to the listener. Around 1840, theatrical singing by males went through a revolution. Men wanted to portray more masculinity and raw emotion with vocal timbre. “Do di Petto”, which is Italien for “C in chest voice” was introduced by operatic tenor Gilbert Duprez in 1837, which soon became a phenomenon. A heroic voice in opera took on more of a brass-like quality than a flute-like quality. Similarly, in the early to mid- twentieth century (1920-1950), female singers were driven by the desire to sing with a richer timbre, one that matched brass and percussion instruments rather than strings or flutes. Ethel Merman became an icon in this revolution. This led to the theatre belt sound produced by females today, which has much in common with a trumpet sound. Fig.1. Mouth opening to head-size ratio for Ethel Merman and corresponding frequency spectrum for the sound “aw” with a fundamental frequency fo (pitch) at 547 Hz and a second harmonic frequency 2 fo at 1094 Hz. The length of an uncoiled trumpet horn is about 2 meters (including the full length of the valves), whereas the length of a human airway above the glottis (the space between the vocal cords) is only about 17 cm (Fig. 2). The vibrating lips and the vibrating vocal cords can produce similar pitch ranges, but the resonators have vastly different natural frequencies due to the more than 10:1 ratio in airway length. So, we ask, how can the voice produce a brass-like timbre in a “call” or “belt”? 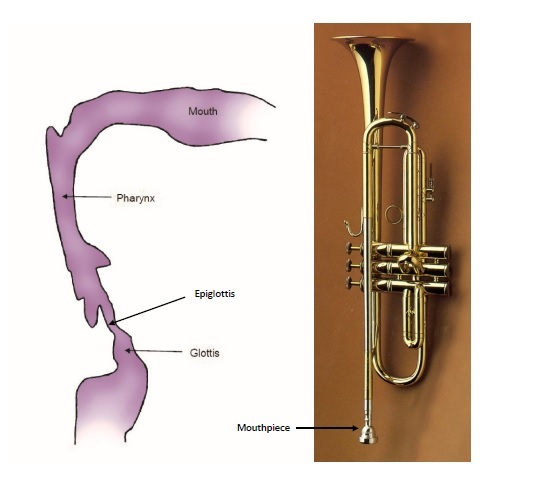 One structural similarity between the human instrument and the brass instrument is the shape of the airway directly above the glottis, a short and narrow tube formed by the epiglottis. It corresponds to the mouthpiece of brass instruments. This mouthpiece plays a major role in shaping the sound quality. A second structural similarity is created when a singer uses a wide mouth opening, simulating the bell of the trumpet. With these two structural similarities, the spectrum of tones produced by the two instruments can be quite similar, despite the huge difference in the overall length of the instrument. Fig 2. Human airway and trumpet (not drawn to scale). Acoustically, the call or belt-like quality is achieved by strengthening the second harmonic frequency 2fo in relation to the fundamental frequency fo. In the human instrument, this can be done by choosing a bright vowel like /ᴂ/ that puts an airway resonance near the second harmonic. The fundamental frequency will then have significantly less energy than the second harmonic. Why does that resonance adjustment produce a brass-like timbre? To understand this, we first recognize that, in brass-instrument playing, the tones produced by the lips are entrained (synchronized) to the resonance frequencies of the tube. Thus, the tones heard from the trumpet are the resonance tones. These resonance tones form a harmonic series, but the fundamental tone in this series is missing. It is known as the pedal tone. Thus, by design, the trumpet has a strong second harmonic frequency with a missing fundamental frequency. Perceptually, an imaginary fundamental frequency may be produced by our auditory system when a series of higher harmonics (equally spaced overtones) is heard. Thus, the fundamental (pedal tone) may be perceptually present to some degree, but the highly dominant second harmonic determines the note that is played. In belting and loud calling, the fundamental is not eliminated, but suppressed relative to the second harmonic. The timbre of belt is related to the timbre of a trumpet due to this lack of energy in the fundamental frequency. There is a limit, however, in how high the pitch can be raised with this timbre. As pitch goes up, the first resonance of the airway has to be raised higher and higher to maintain the strong second harmonic. This requires ever more mouth opening, literally creating a trumpet bell (Fig. 3). Fig 3. Mouth opening to head-size ratio for Idina Menzel and corresponding frequency spectrum for a belt sound with a fundamental frequency (pitch) at 545 Hz. Note the strong second harmonic frequency 2fo in the spectrum of frequencies produced by Idina Menzel, a current musical theatre singer. One final comment about the perceived pitch of a belt sound is in order. Pitch perception is not only related to the fundamental frequency, but the entire spectrum of frequencies. The strong second harmonic influences pitch perception. The belt timbre on a D5 (587 Hz) results in a higher pitch perception for most people than a classical soprano sound on the same note. This adds to the excitement of the sound. The aim of this study was to develop a method of visual recording and analyzing the vibrations of guitar strings using high-speed cameras and dedicated video processing algorithms. The recording of a plucked string reveals the way in which the deformations propagate, composing the standing and travelling wave. 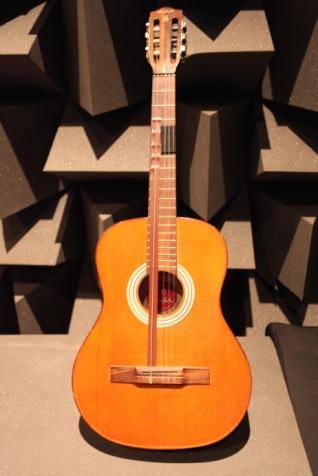 The paper compares the results for a few selected models of classical and acoustic guitars, and it involves processing the vibration image into to the sound recording. The sound reconstructed in this way is compared with the sound recorded synchronously with the reference measurement microphone. The measurements were made for three different models and types of guitars (Fig. 1a,b,c). The Martin D-45 is one of the best mass produced acoustic guitars in the world. Its top plate is made from spruce, its sides and back from Indian rosewood, its neck from mahogany, and its fingerboard from ebony. The guitar shape is of the Dreadnought type. In the experiments, acoustic strings were used, metal, thickness of 0.52. Classical guitar model: MGP 145 classic, c, ar, tailpiece, prototype model. 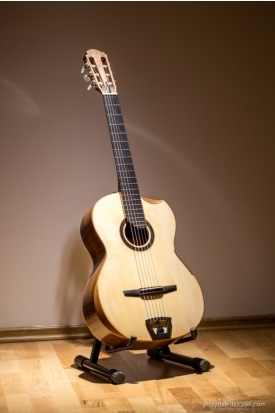 Made in 2014 by Sergei Stańczuk in SEGA Luthier Guitar Studio in Warsaw as a prototype model of classical guitar with two tailpieces. 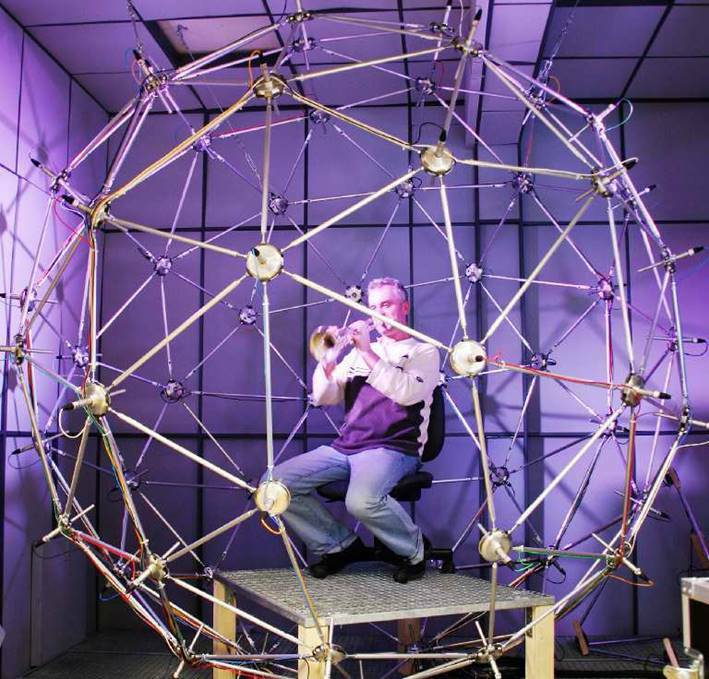 In the experiments, acoustic strings were used, metal, thickness of 0.52. Defil guitar is a classical instrument made in 1978 by a Polish company, designed for amateur players. In the experiments, the classic nylon strings were used, with a thickness of 0.44. Acoustic guitars can be tested applying the acoustic methods and recording of the emitted sound, mathematical modeling and simulation (including the finite element method) or direct vibration measurement using various vibrometric methods (laser, piezoelectric transducer, electromagnetic transducer, an analogue movement meter or digital high-speed cameras and optical displacement and deformation measurement). Fig. 2 shows the layout of the experimental setup. 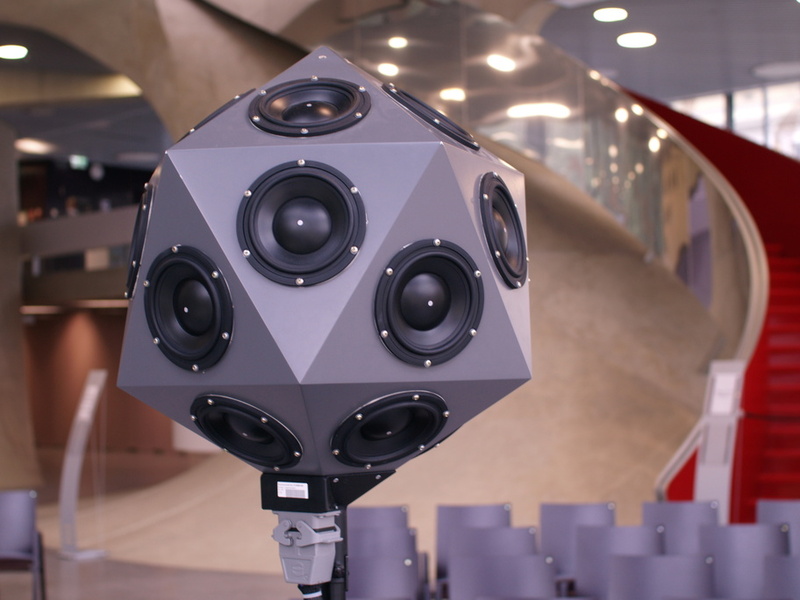 Video tracking and measurement of vibration are made through the use of two identical and synchronized cameras, acquiring 1,600 frames per second video with a resolution of 2000×128 pixels, and the exposure time of 100ms. A high-class measurement microphone along with an acquisition system were used for the audio recording simultaneously with video shooting. The cameras are placed side by side and oriented towards: a foothold in the bridge, the area above the opening of the sound hole, the neck section up to fret 19 (the first camera) and a section of the neck from fret 19 to fret 6 (second camera). Fig. 2. Setup for the video and audio recordings of the strings vibrations. In order to accurately measure the deformation of the strings, the video analysis algorithm was created to determine the position of the elementary section of the string visible in each column of the image. Recording, lighting, and exposure conditions were to ensure that the string was the brightest part of the image, and the result of would only be one pixel. The results of the analysis from both cameras, i.e. two vectors describing the position of the string sections were combined into a single series. It was noticed that the string at rest acted on the bridge with the strength of its tension. Stimulation of the strings was associated with its deformation – increased stress and delivery of energy. 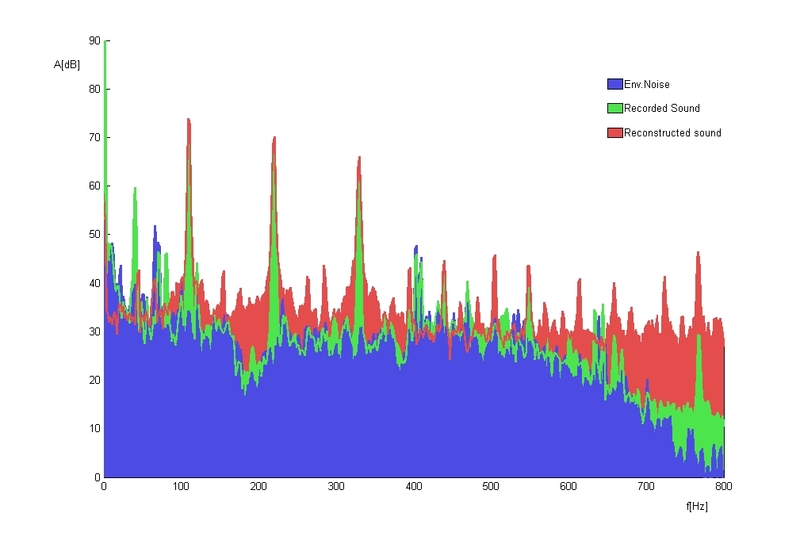 After a substantial simplification of the analysis it was possible to perform a simple summation of the deviations of each point on the string and the conversion of the value obtained into a sound sample for each video frame. 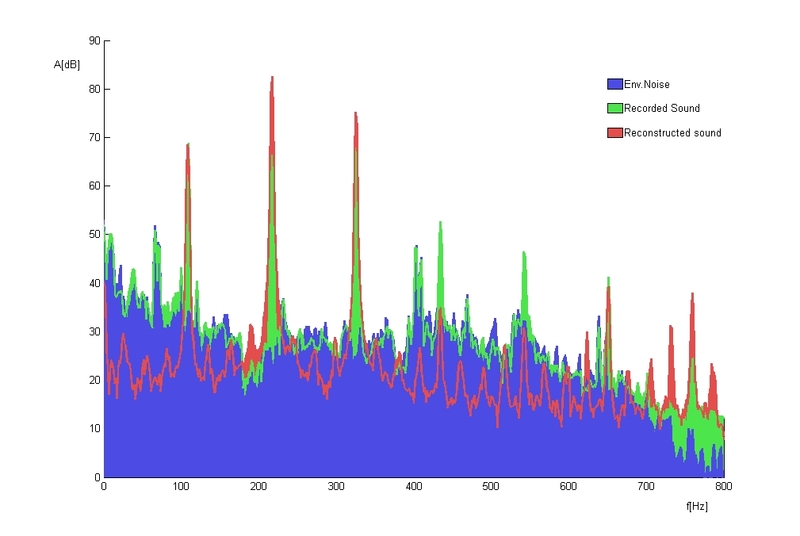 Analysis of the averaged spectra highlights the differences between the image acquired and microphone recorded sound (Fig. 3.) Spectra were scaled so as that the amplitude of the first harmonic f = 110 Hz was equal for both recordings. Martin and Luthier guitars (Fig. 3a, 3b) had very thick acoustic strings, which do not deflect much. Defil guitar (Fig. 3c) has soft strings for classical play that easily deform and vibrate with a large amplitude. 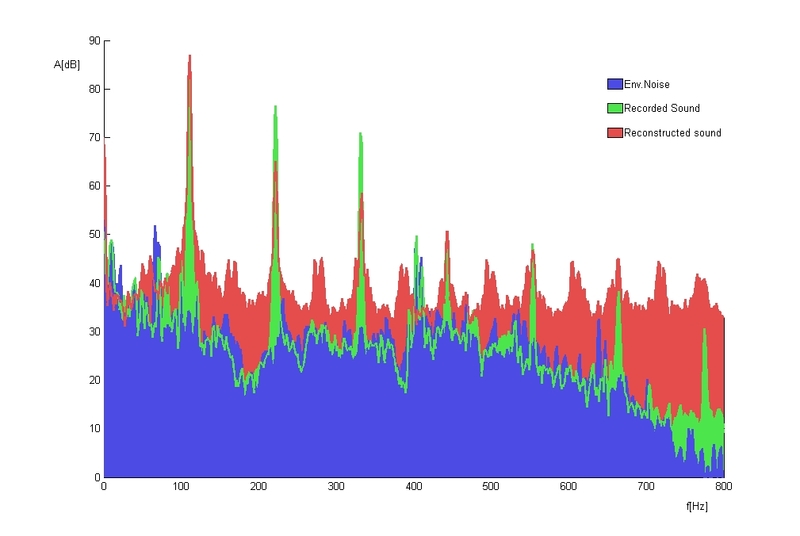 The colors of generated sounds are different: the ratio between the harmonics is not maintained. This is due to the participation of the soundboard in the generation of sound. A method of obtaining the string deformation characteristics from an image and acquiring sound samples from the observed vibrations was presented. Significant differences resulting from not taking into account the impact of soundboard were observed, therefore further work in this area will focus on the systematic study of differences in the spectra and modelling the participation of the guitar soundboard in the creation of sound. This research study was supported by the grant, funded by the Polish National Science Centre, decision number DEC-2012/05/B/ST7/02151. The authors wish to thank Chris Gorski and Sergiusz Stańczuk for providing the guitars. The piano was invented 300 years ago by Bartolomeo Cristofori, who in his “day job” was responsible for the instruments owned by the famous Medici family in Florence, Italy. Many of those instruments were harpsichords, and the first pianos were very similar to a harpsichord with one crucial difference. In a harpsichord the strings are set into motion by plucking (as in a guitar) and the amplitude of a pluck is independent of how forcefully a key is pressed. In a piano the strings are struck with a hammer and Cristofori invented a clever mechanism (called the piano “action”) through which the speed of the hammer and hence the volume of a tone is controlled by the force with which a key is pressed. In this way a piano player can vary the loudness of notes individually, something that was not possible with the harpsichord or organ, the dominant keyboard instruments of the day. 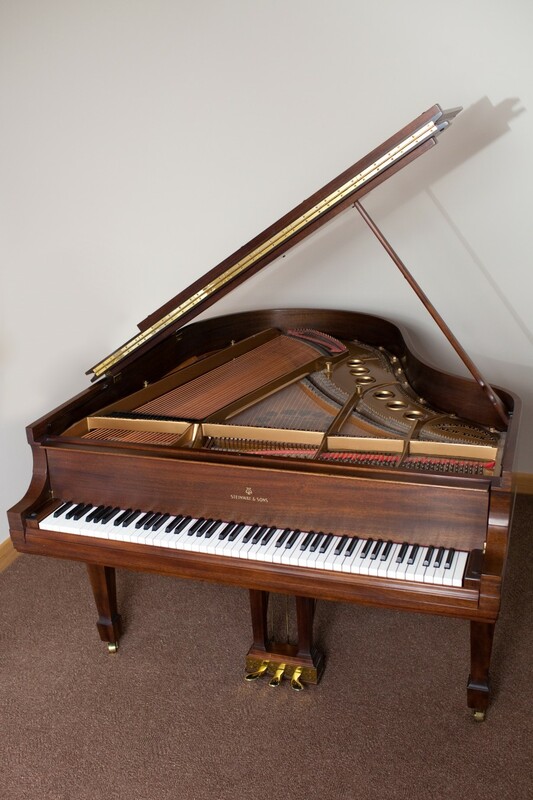 This gave the piano new expressive capabilities which were soon exploited by composers such as Mozart and Beethoven. Figure 1 shows one of the three existing Cristofori pianos. It is composed almost entirely of wood (except for the strings) and has a range of 4 octaves – 49 notes. It has 98 strings (two for each note), each held at a tension of about 60 Newtons (around 13 lbs), and is light enough that two adults can easily lift it. A typical modern piano is shown in Figure 2. It has a range of 7-1/3 octaves – 88 notes – and more than 200 strings (most notes have three strings), each held at a tension of around 600 Newtons. This instrument weighs almost 600 lbs. Figure 1 caption. 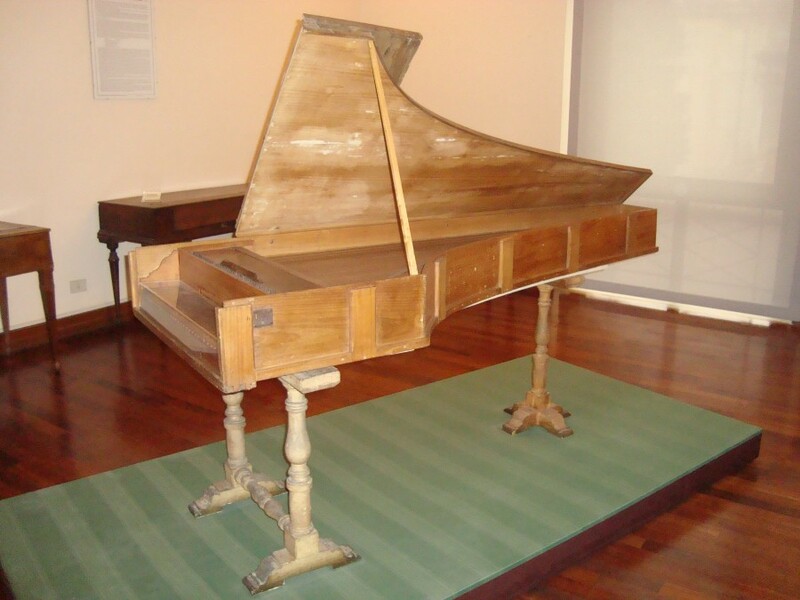 Piano built by Bartolomeo Cristofori in 1722. This piano is in the Museo Nationale degli Strumenti Musicali in Rome. Image from Wikimedia Commons (wikimedia.org/wikipedia/commons/3/32/Piano_forte_Cristofori_1722.JPG). The other pianos made by Cristofori and still in existence are in the Metropolitan Museum of Art in New York City and the Musikinstrumenten-Museum in Leipzig. Figure 2 caption. A typical modern piano. This is a Steinway model M that belongs to the author. Photo by Lizz Giordano. My conference paper considers how the piano in Figure 1 evolved into the instrument in Figure 2. As is described in the paper, this evolution was driven by a combination of factors including the capabilities and limitations of the human auditory system, the demands of composers ranging from Mozart to Beethoven to Rachmaninoff, and developments in technology such as the availability of the high strength steel wire that is now used for the strings. The modern piano has nearly twice as many notes as the pianos of Cristofori. These additional notes were added gradually over time. Most of the keyboard music of J. S. Bach can be played on the 49 notes of the first pianos, but composers soon wanted more. By Mozart’s time in the late 1700s, most pianos had 61 notes (a five octave range). They expanded to 73 notes (six octaves) for Beethoven in the early 1800s, and eventually to the 88 notes we have today by about 1860. The frequency range covered by these notes extends from around 25 Hz to just over 4000 Hz. The human ear is sensitive to a much wider range so one might ask “why don’t we have even more notes?” The answer seems to lie in the way we hear tones with frequencies that are much outside the piano range. Tones with frequencies below the piano range are heard by most people as clicks , and such tones would not be useful for most kinds of music. Tones with frequencies much above the high end of the piano range pose a different problem. In much music two or more tones are played simultaneously to produce chords and similar combinations. It turns out that our auditory system is not able to perceive such “chordal” relationships for tones much above the piano range . Hence, these tones cannot be used by a composer to form the chords and other note combinations that are an essential part of western music. The range of notes found in a piano is thus determined by the human auditory system – this is why the number of notes found in a piano has not increased beyond the limits reached about 150 years ago. The piano strings in Cristofori’s piano were thin (less than 1 mm in diameter) and composed of brass or iron. They were held at tensions of about 60 N, which was probably a bit more than half their breaking tensions, providing a margin of safety. An increase in tension allows the string to be hit harder with the hammer, producing a louder sound. Hence, as the piano came to be used more and more as a solo instrument and as concert halls grew in size, piano makers needed to incorporate stronger strings. These improved strings were generally composed of iron with controlled amounts of impurities such as carbon. The string tensions used in piano design thus increased by about a factor of 10 from the earliest pianos to around 1860 at which time steel piano wire was available. Steel wire continues to be used in modern pianos, but the strength of modern steel wire is not much greater than the wire available in 1860, so this aspect of piano design has not changed substantially since that time. The increased number of strings in a modern piano combined with the greater string tension results in much larger forces, by about a factor of 20, on the case of a modern instrument as compared to the Cristofori piano. The case of an early piano was made from wood but the limits of a wooden case were reached by the early 1800s in the pianos that Beethoven encountered. To cope with this problem, piano makers then added metal rods and later plates to strengthen the case, leading to what is now called a “full metal plate.” The plate is now composed of iron (steel is not required since iron under compression is quite strong and stable) and is visible in Figure 2 as the gold colored plate that extends from the front to the back of the instrument. Some piano makers objected to adding metal to the piano, arguing that it would give the tone a “metallic” sound. They were evidently able to overlook the fact that the strings were already metal. Interestingly, the full metal plate was the first important contribution to piano design by an American, as it was introduced in the mid-1820s by Alphaeus Babcock. As the string tension increased it was also necessary to redesign the piano hammer. In most early pianos the hammer was fairly light (about 1 g or less), with a layer of leather glued over a wooden core. As the string tension grew a more durable covering was needed, and leather was replaced by felt in the mid-1800s. This change was made possible by improvements in the technology of making felt with a high and reproducible density. The mass of the hammer also increased; in a modern piano the hammers for the bass (lowest) notes have a mass more than 10 times greater than in Cristofori’s instruments. How has the sound changed? We have described how the strings, case, hammers, and range of the piano have changed considerably since Cristofori invented the instrument, and there have been many other changes as well. It is thus not surprising that the sounds produced by an early piano can be distinguished from those of a modern piano. However, the tones of these instruments are remarkable similar – even the casual listener will recognize both as coming from a “piano.” While there are many ways to judge and describe a piano tone, the properties of the hammers are, in the opinion of the author (an amateur pianist), most responsible for the differences in the tones of early and modern pianos. The collision between the hammer and string have a profound effect on the tone, and the difference in the hammer covering (leather versus felt) makes the tone of an early piano sound more “percussive” and “pluck-like” than that of a modern piano. This difference can be heard in sound examples that accompany this article. While the piano is now 300 years old, its evolution from Cristofori’s first instruments to the modern piano was complete by the mid-1800s. Why has the piano remained unchanged for the past 150 years? We have seen that much of the evolution was driven by improvements in technology such as the availability of steel wire that is now used for the strings. Modern steel wire is not much different than that available more than a century ago, but other string materials are now available. For example, wires made of carbon fibers can be stronger than steel and would seem to have advantages as piano strings , but this possibility has not (yet) been explored in more than a theoretical way. Indeed, the great success of the piano has made piano makers, players, and listeners resistant to major changes. While new technologies or designs will probably be incorporated into the pianos of the future, it seems likely that it will always sound much like the instrument we have today. The evolution of the piano is described in more detail in an article by the author that will appear in Acoustics Today later this year. Much longer and more in-depth versions of this story can be found in Refs. 3 and 4. C. J. Plack, A. J. Oxenham, R. R. Fay, and A. N. Popper (2005). Pitch: Neural Coding and Perception (Springer), Chapter 2. N. Giordano (2011). “Evolution of music wire and its impact on the development of the piano,” Proceedings of Meetings on Acoustics 12, 035002. E. M. Good (2002). Giraffes, Black Dragons, and Other Pianos, 2nd edition (Stanford University Press). N. J. Giordano (2010). Physics of the Piano (Oxford University Press). Both of these audio examples are the beginning of the first movement of Mozart’s piano sonata in C major, K. 545. The first one is played with a piano that is a copy of an instrument like the ones Mozart played. The second audio example was played with a modern piano. (1) Early piano. Played by Malcom Bilson in a copy of a c. 1790 piano made by Paul McNulty (CD: Hungaroton Classic, Wolfgang Amadeus Mozart Sonatas Vol. III, Malcolm Bilson, fortepiano, HCD31013-14). (2) Modern piano. Played by Daniel Barenboim on a modern (Steinway) piano (CD: EMI Classics, Mozart, The Piano Sonatas, Catalog #67294). How soon can you use your new concrete driveway? Concrete is the most commonly used construction material in the world. The performance of concrete structures is largely determined by properties of fresh concrete at early ages. Concrete gains strength through a chemical reaction between water and cement (hydration), which gradually change a fluid fresh concrete mix to a rigid and hard solid. The process is called setting and hardening. It is important to measure the setting times, because you may not have enough time to mix and place concrete if the setting time is too early, while too late setting will cause delay in strength gain. The setting and hardening process is affected by many parameters, including water and cement ratio, temperature, and chemical admixtures. The standard method to test setting time is to measure penetration resistance of fresh concrete samples in laboratory, which may not represent the real condition in field. Ultrasonic waves have been proposed to monitor the setting and hardening process of concrete by measuring wave velocity change. When concrete becomes hard, the stiffness increases, and the ultrasonic velocity also increases. The authors found there is a clear relationship between the shear wave velocity and the traditional penetration resistance. However, most ultrasonic tests measure a small volume of concrete sample in laboratory, and they are not suitable for field application. In this paper, the authors proposed an ultrasonic guided wave test method. Steel reinforcements (rebars) are used in most concrete structures. When ultrasonic guided waves propagate within rebar, they leak energy to surrounding concrete, and the energy leakage rate is proportion to the stiffness of concrete. Ultrasonic waves can be introduced into rebars from one end and the echo signal will be received at the same end using the same ultrasonic sensor. This test method has a simple test setup, and is able to monitor the concrete hardening process continuously. Figure 2 shows guided wave echo signals measured on a 19mm diameter rebar embedded in concrete. It is clear that the signal amplitude decreases with the age of concrete (2 ~ 6 hours). The attenuation can be plotted vs. age for different cement/concrete mixes. Figure 3 shows the attenuation curves for 3 cement paste mixes. It is known that a cement mix with larger water cement ratio (w/c) will have slower strength gain, which agrees with the ultrasonic guided wave test, where the w/c=0.5 mix has lower attenuation rate. When there is a void around the rebar, energy leakage will be less than the case without a void, which is also confirmed by the test result in Figure 3. Summary: This study presents experimental results using ultrasonic guided waves to monitor concrete setting and hardening process. It shows the guided wave leakage attenuation is proportional to the stiffness change of fresh concrete. Therefore the leakage rate can be used to monitor the concrete strength gain at early ages. This study may have broader applications in other disciplines to measure mechanical property of material using guided wave. Figure. 1 Principle of ultrasonic guided wave test. Figure. 2 Ultrasonic echo signals measured in an embedded rebar for concrete age of 2~6 hours. Figure. 3 Guided wave attenuation rate in a rebar embedded in different cement pastes.